A traditional style design - with a mix of pinks, whites and reds. 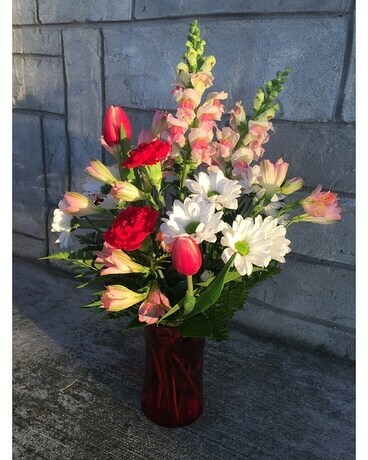 Includes tulips, daisies, carnations and more. Comes designed in a festive Valentine's day colored vase.